Kingfisher produces a range of epoxy paint membranes, including Epoxy Floor Paints, Damp Floor Epoxy Sealer and Epoxy Pond Paint. 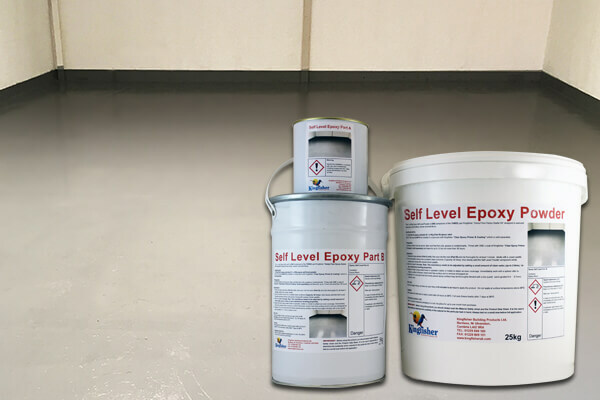 Our selection of Epoxy Products offers tough durable finishes for damp proofing concrete floors and pond paints. They are non-toxic and entirely waterproofing for an easy to apply garage floor paint or lining ponds. 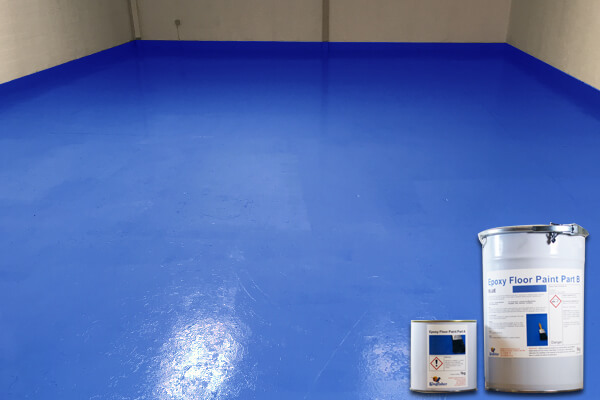 Epoxy Floor Paint – A perfect garage floor paint as well as being ideal for factories, schools, healthcare facilities and much more. This floor system is durable, long-lasting and can withstand even the most intense conditions. Damp Floor Epoxy Sealer – If you are finding damp patches on your concrete floor, use this product to create a new damp proof membrane. Using this Epoxy Sealer will allow you to lock moisture away and stop damp coming through the floor. 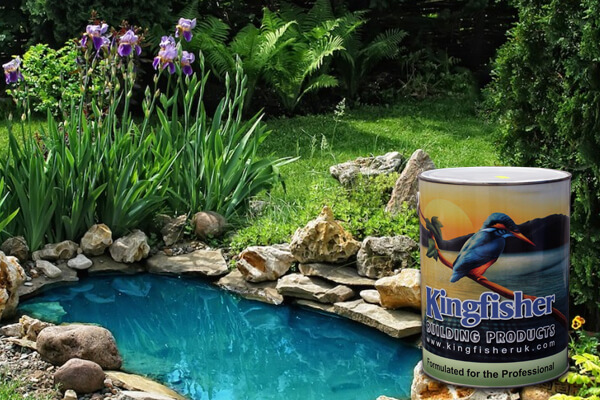 Epoxy Pond Paint – Designed for easy and safe application, this high-quality epoxy resin coating is specifically designed for ponds. It has most of the same properties as standard epoxy resins but with tolerance to wet pond conditions. Our range of garage floor paint is perfect for home use or in an industrial setting. Very easy to apply, it is designed to last. The durability of this garage floor paint guarantees that it will repel oil, grease and petrol spills. The smooth finish it provides will make your garage floor look tremendous. No matter how you plan to utilise our epoxy floor paint, we are positive that you will be impressed. Our epoxy products are not water or solvent based like cheaper products, so you can rest assured of their quality. If you decide to use our epoxy products, you can rest assured that you won’t need to apply another garage floor paint for some time. 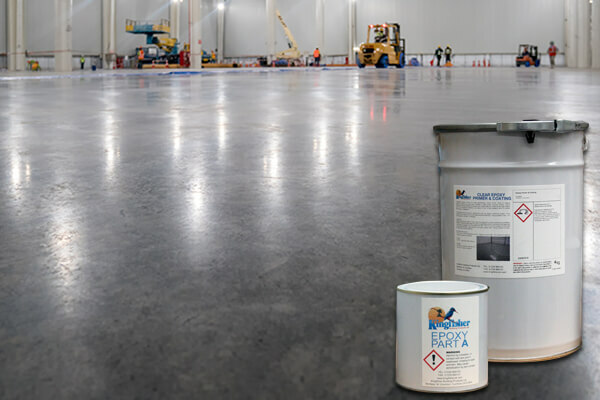 We manufacture and distribute a variety of epoxy floor paint and epoxy pond paint. Most commonly used to finish concrete floors, these epoxy products are hard wearing and easy to maintain. Most of our epoxy products come in two parts, containing one epoxy resin (base) and a co-reactant hardener (curing agent). This mixed together, allowed to stand and then applied to your surface will provide the perfect protection. We are committed to utilising our wealth of experience and expertise to provide professionals with the best possible epoxy products. Kingfisher Building products have manufactured the finest products to ensure a finish that is second to none. All of our products are available online for delivery across the UK.